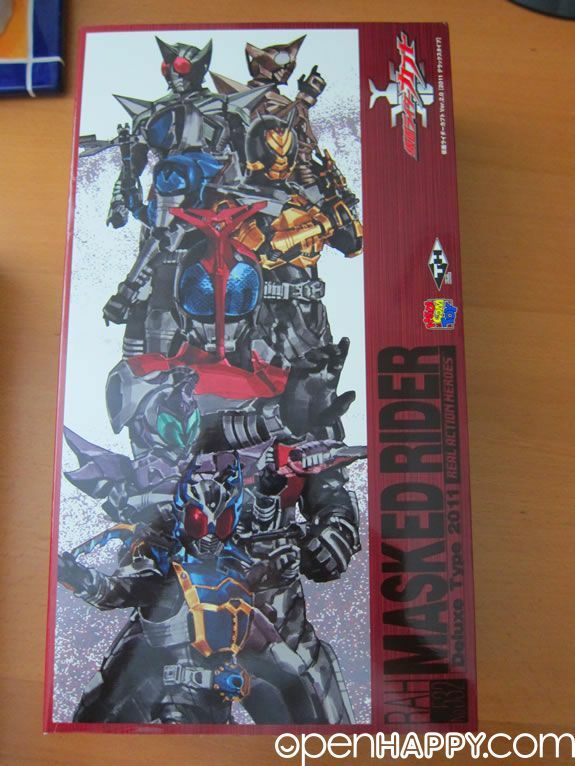 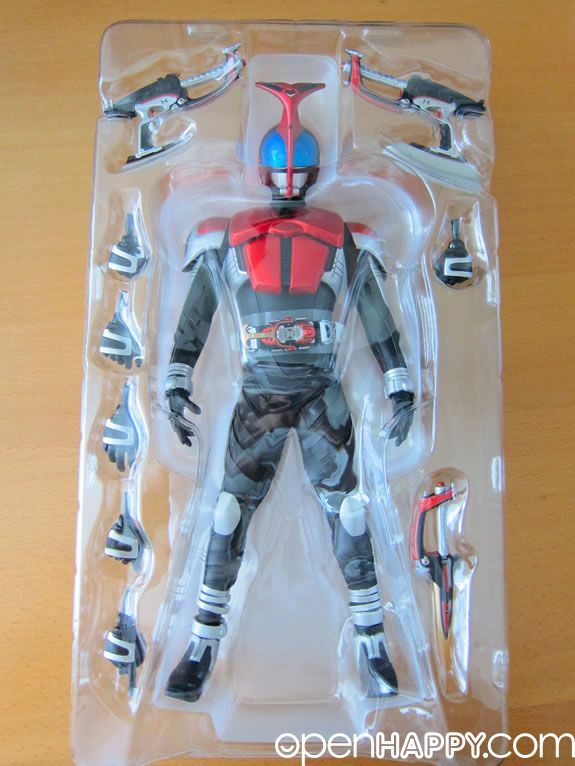 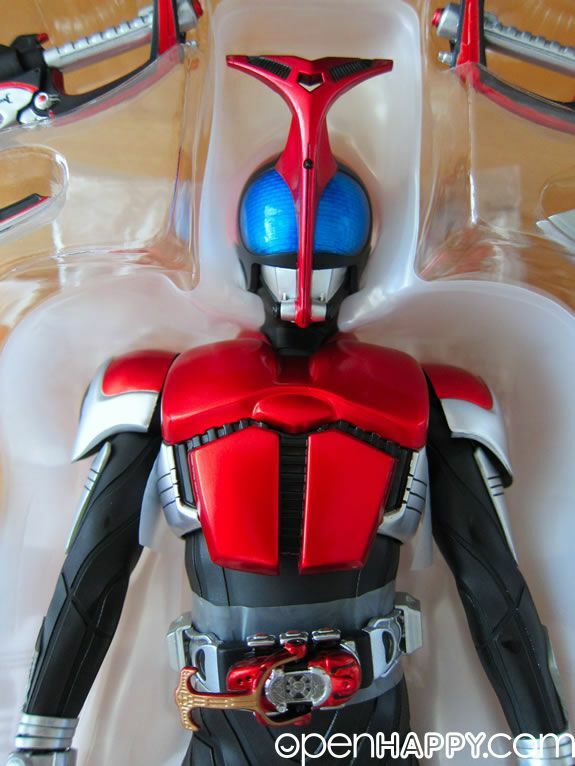 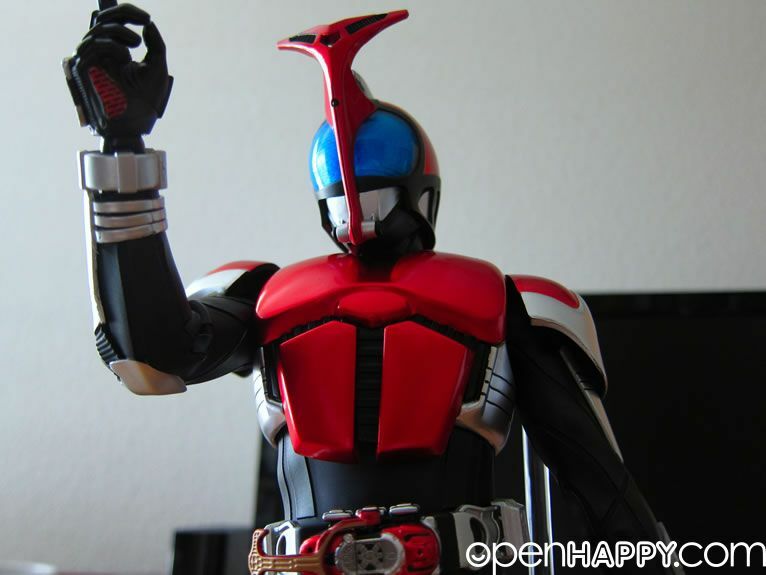 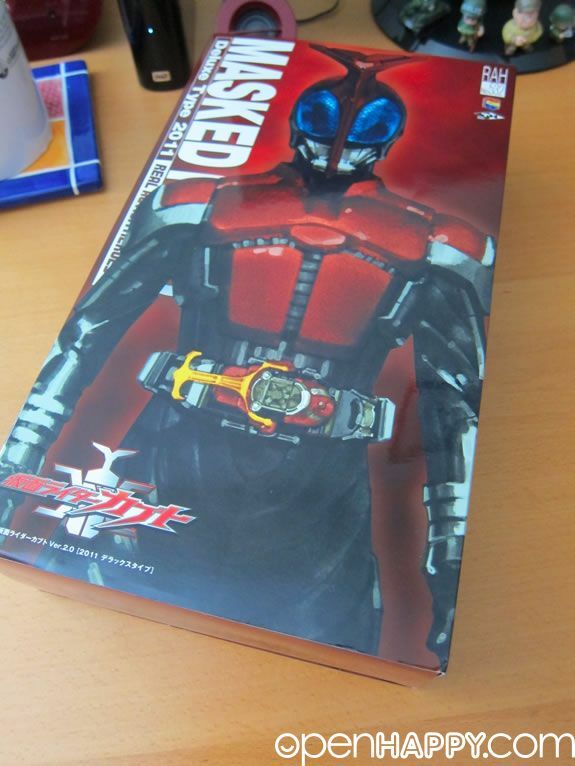 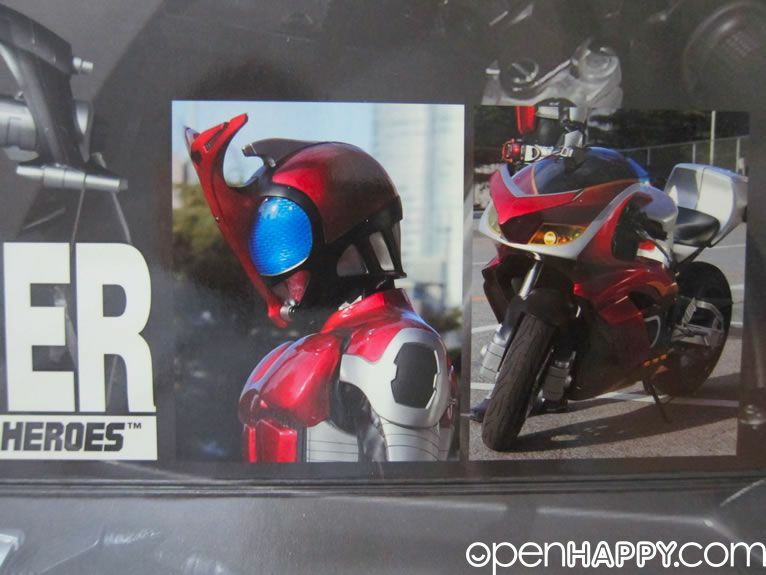 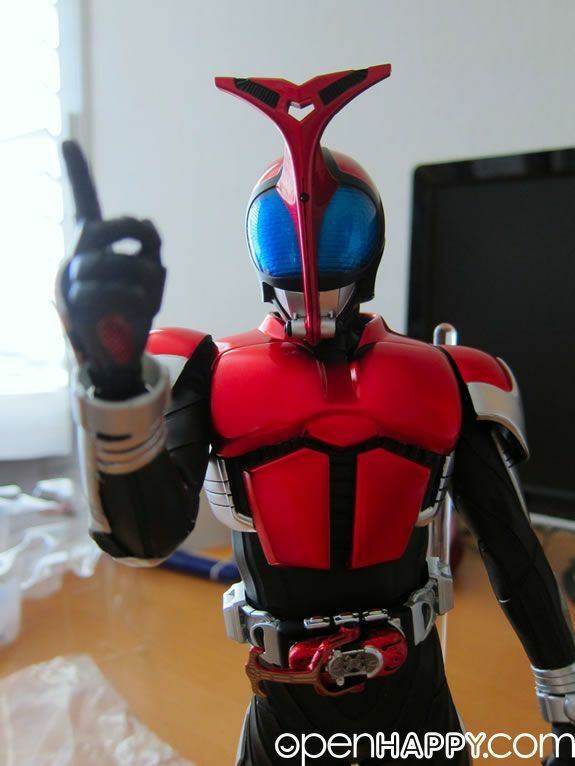 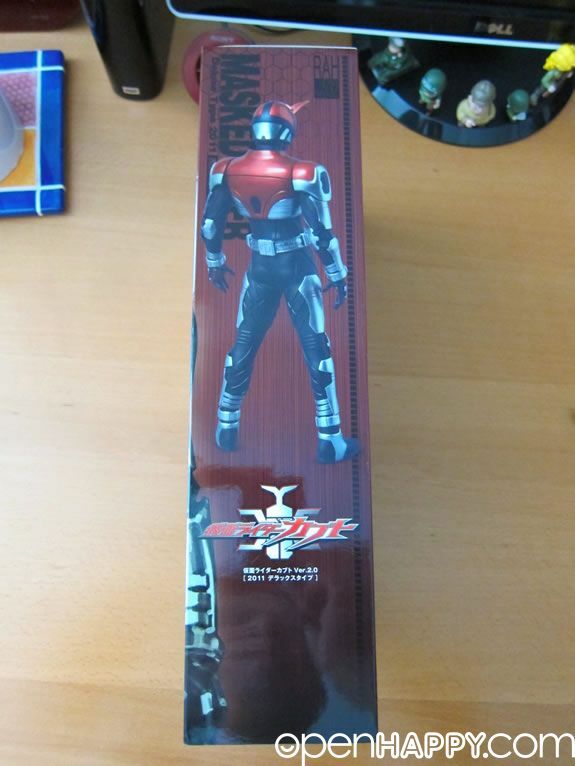 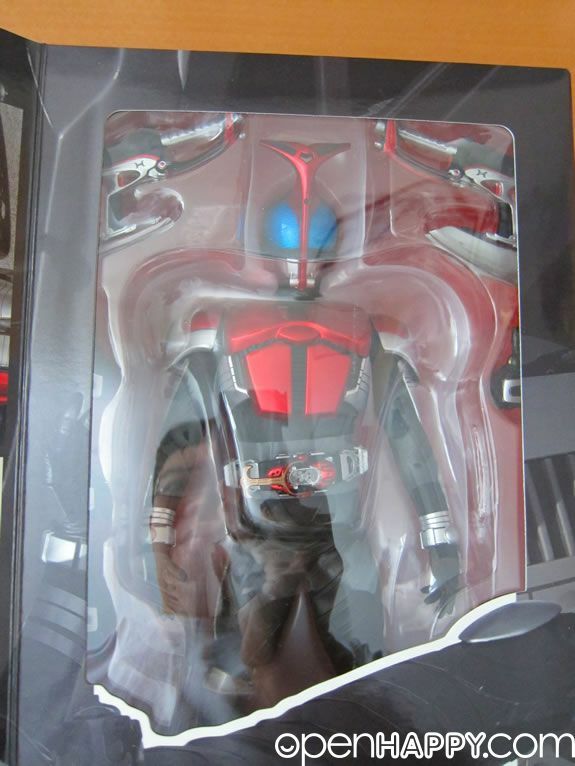 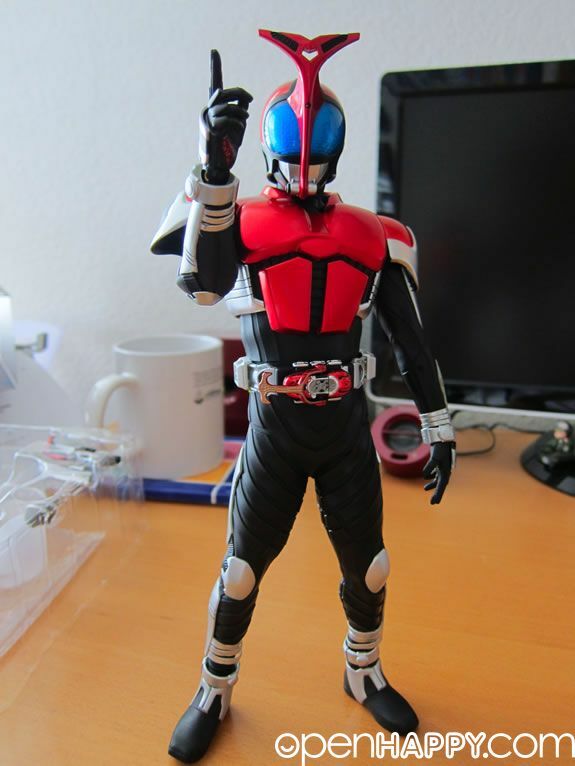 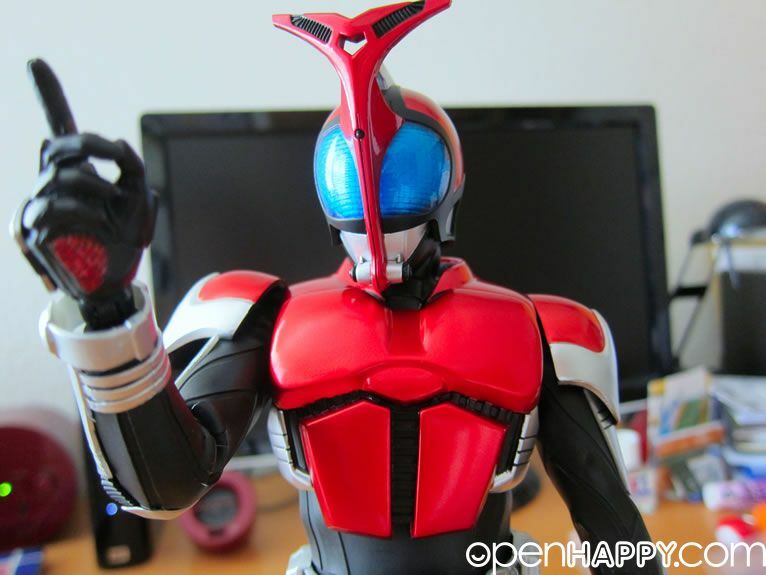 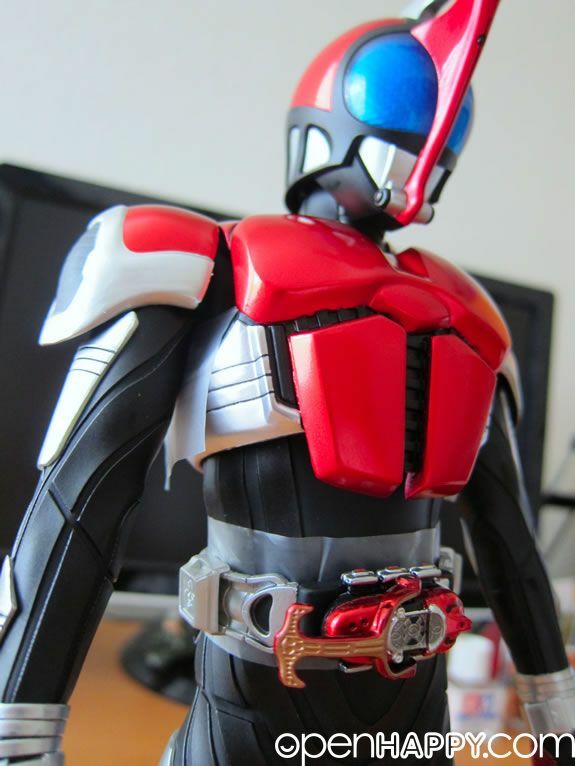 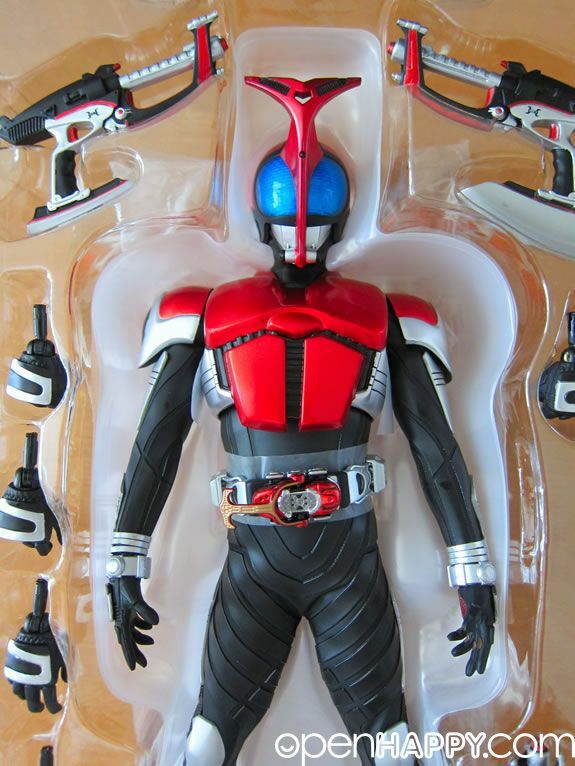 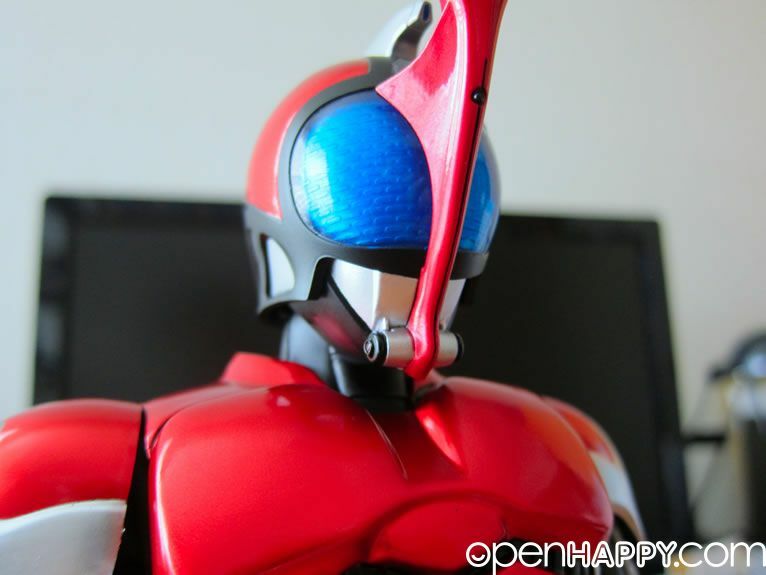 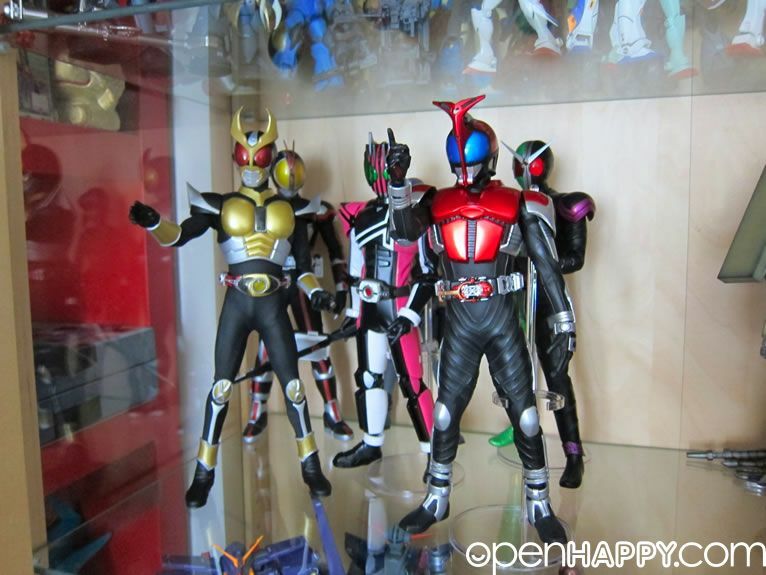 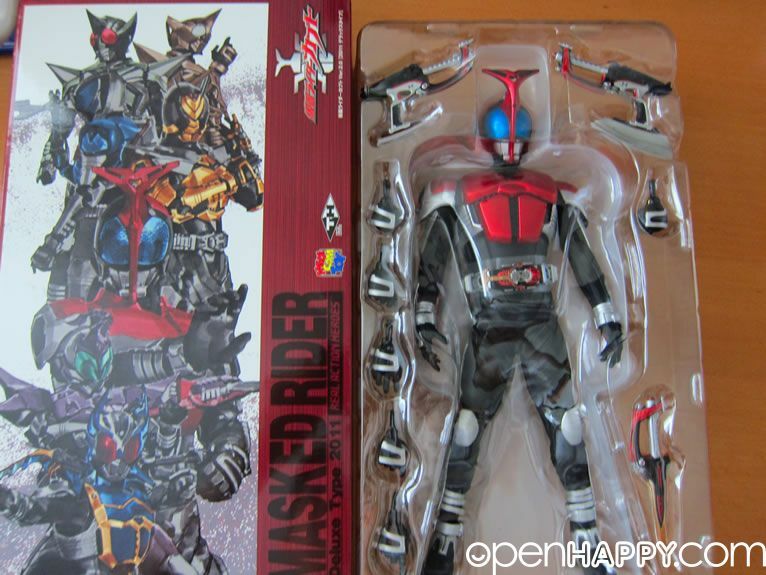 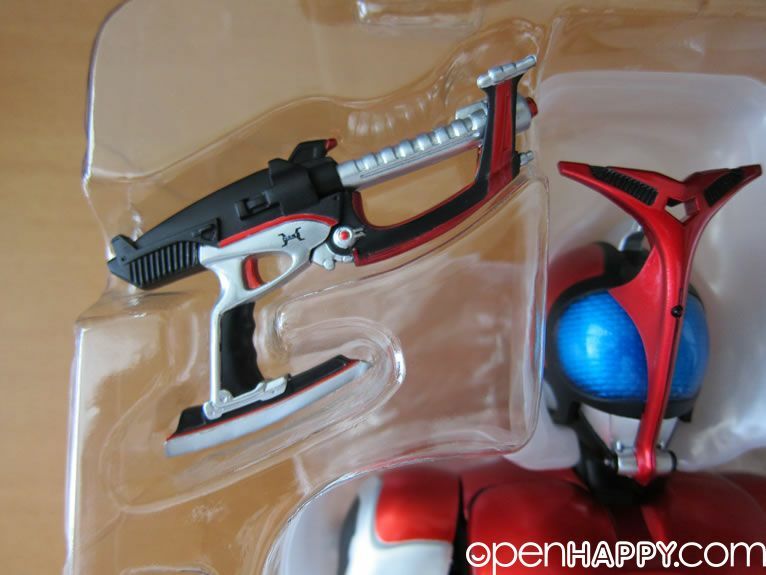 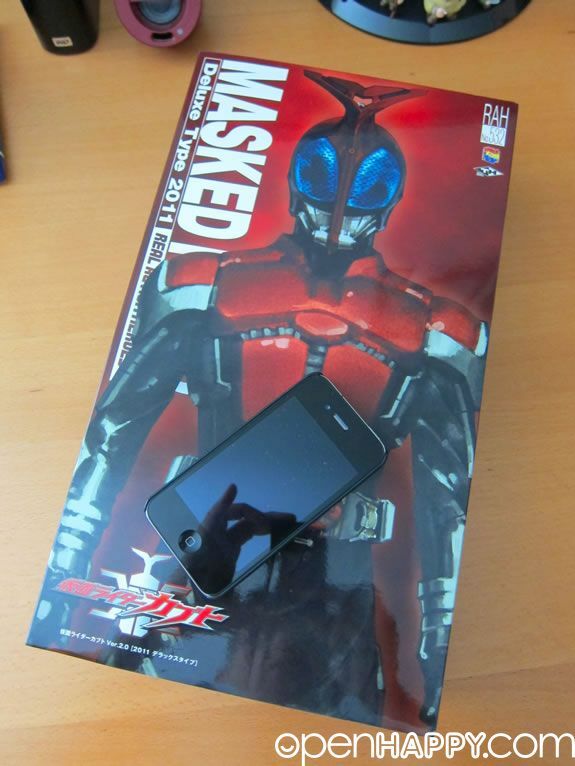 Super cool Kamen Rider Kabuto. 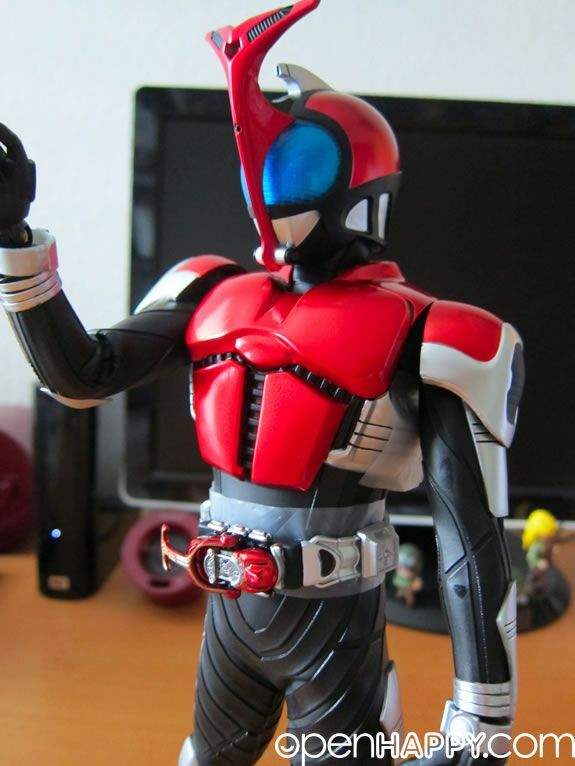 The story revolves around a man named Souji Tendou. 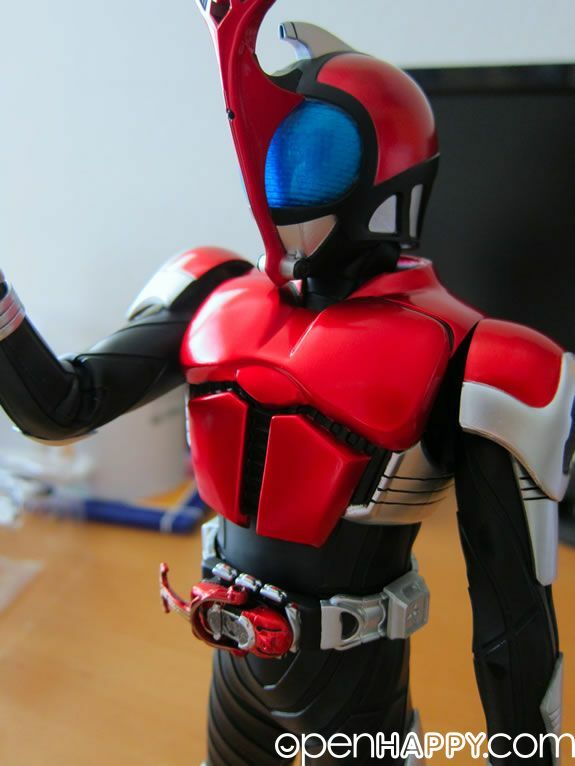 He has trained seven years while waiting for the Kabuto Zecter so that he may properly take up the name of Kamen Rider Kabuto. 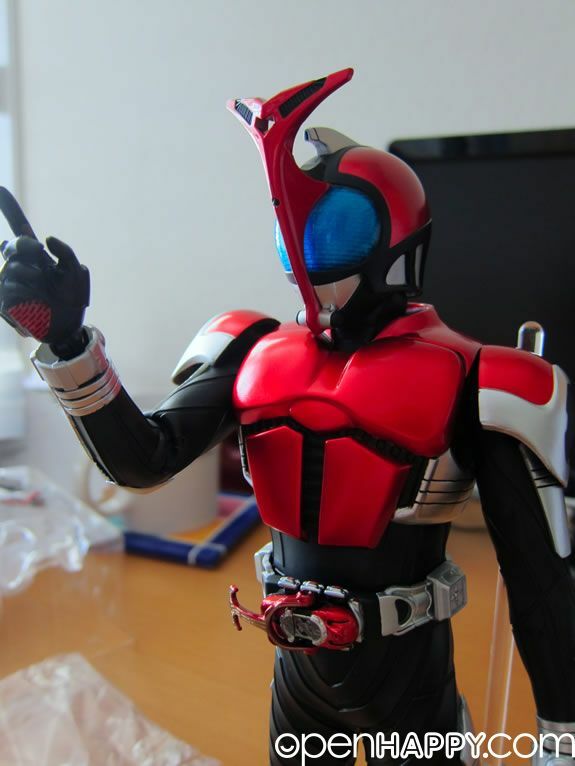 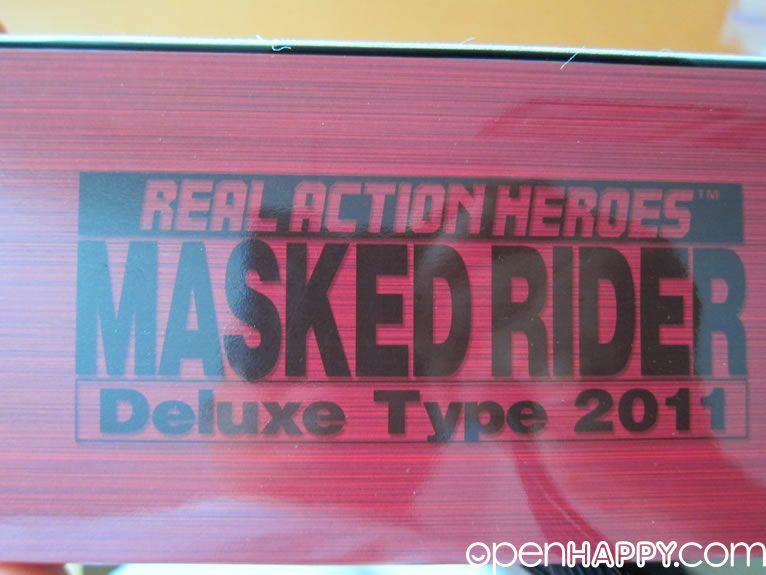 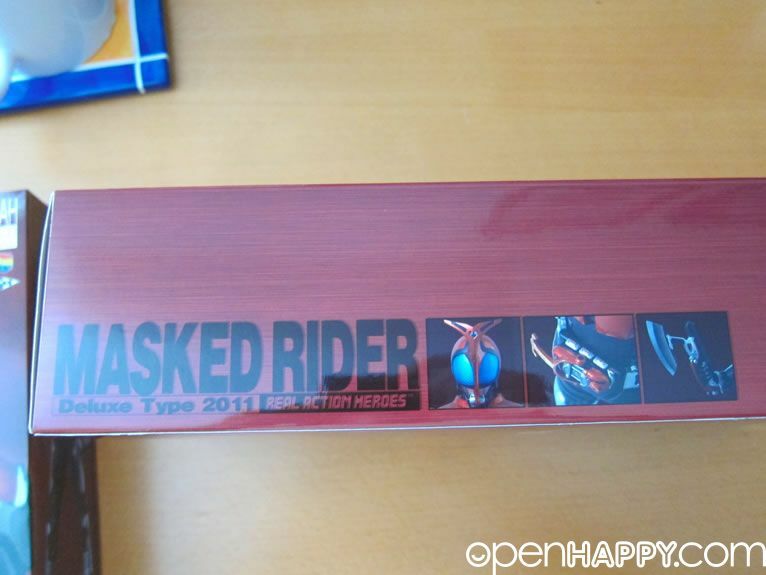 Making many enemies while at the same time meeting other Riders with mysterious origins of how they got there, Tendou attempts to accomplish his goal at all costs: destroying all Worms that otherwise threaten humanity. 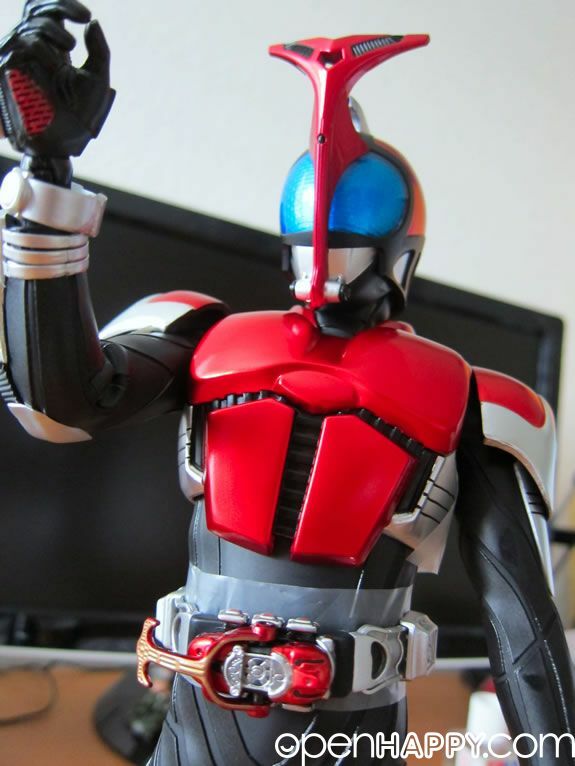 He meets Arata Kagami, who later becomes Kamen Rider Gatack, the two work together to save humanity from the alien Worms that arrived from a meteorite seven years ago. 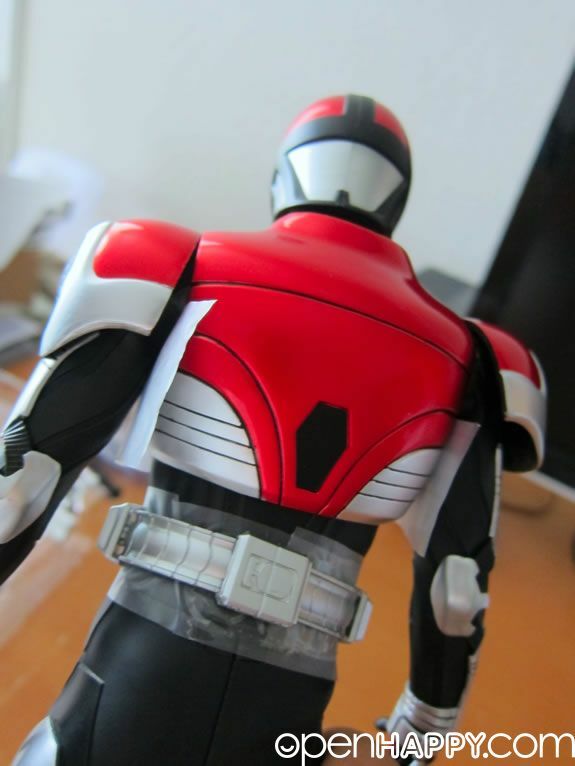 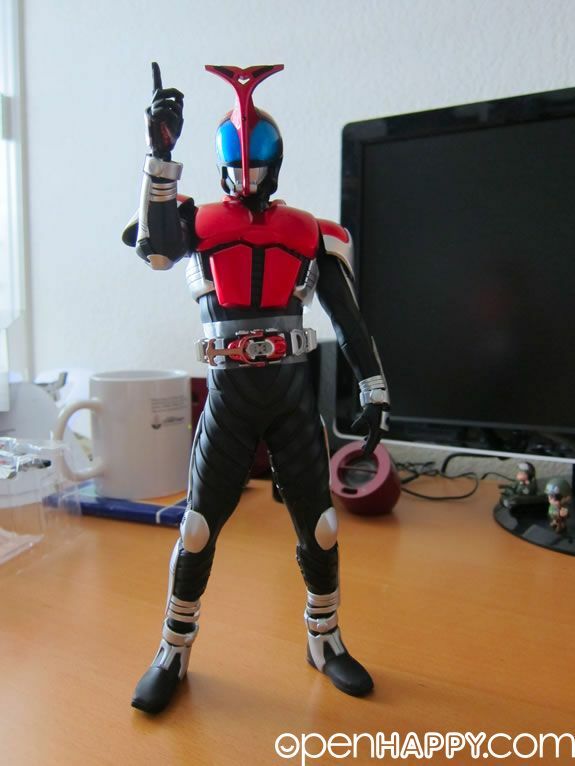 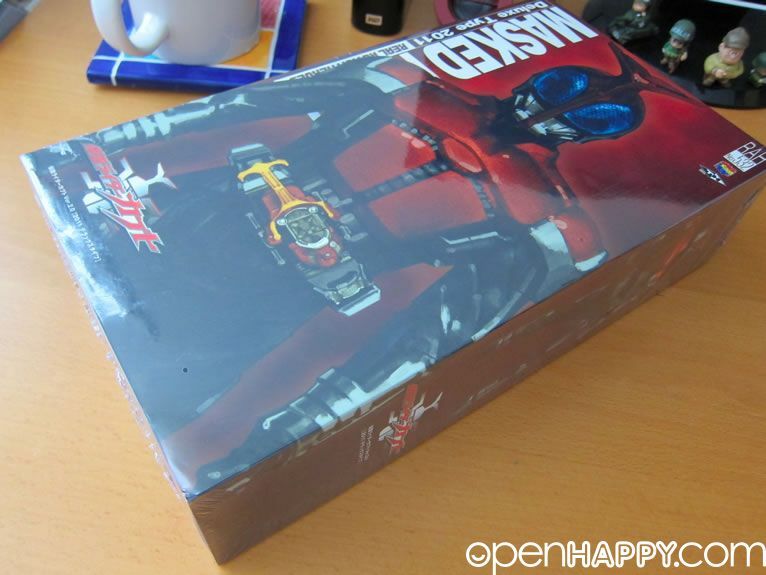 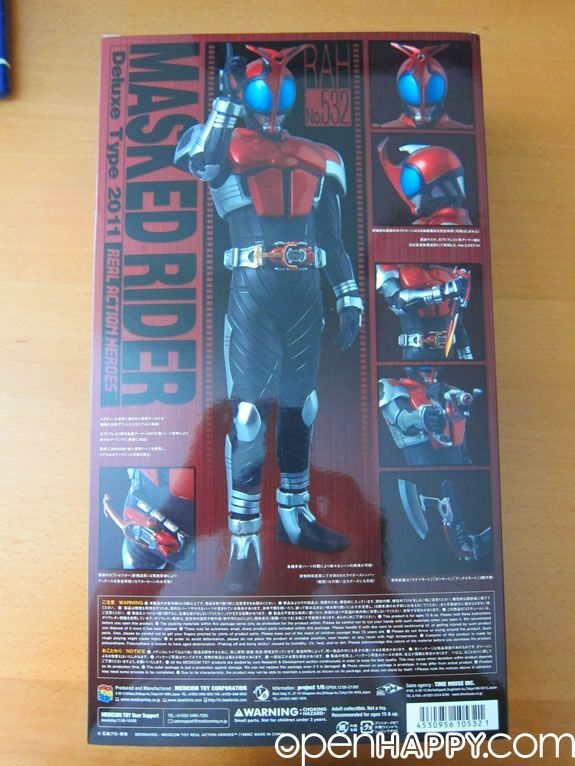 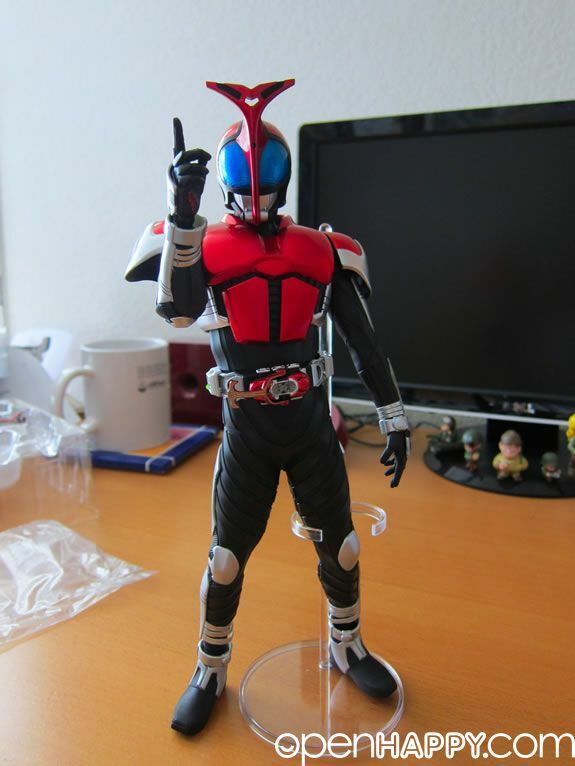 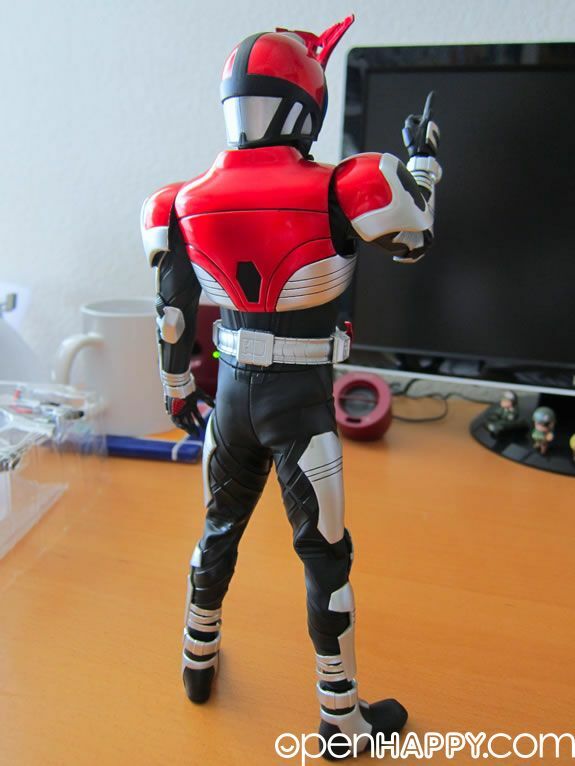 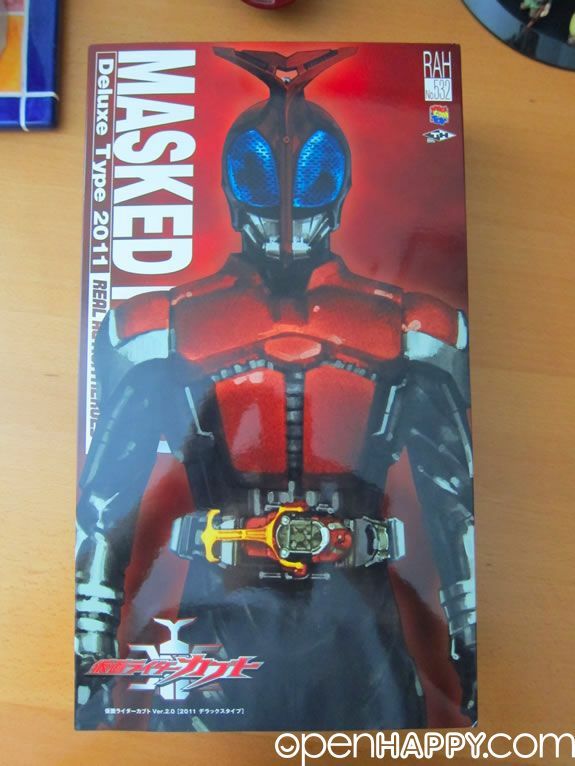 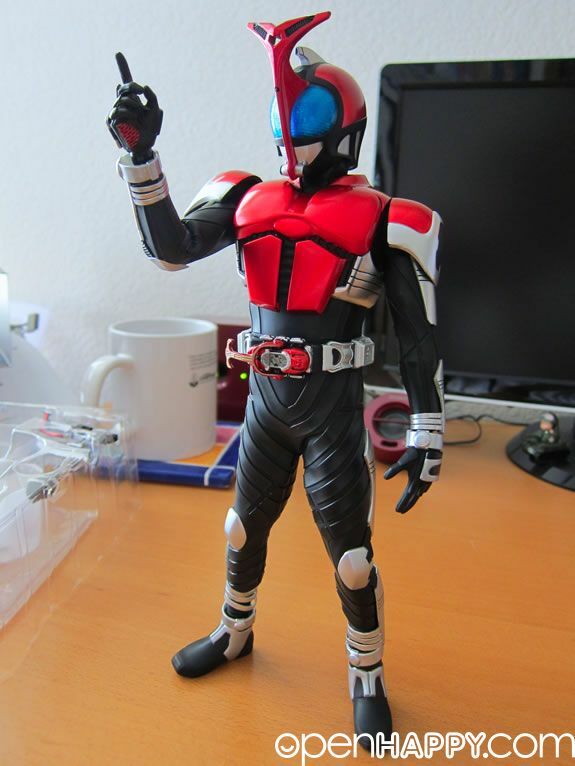 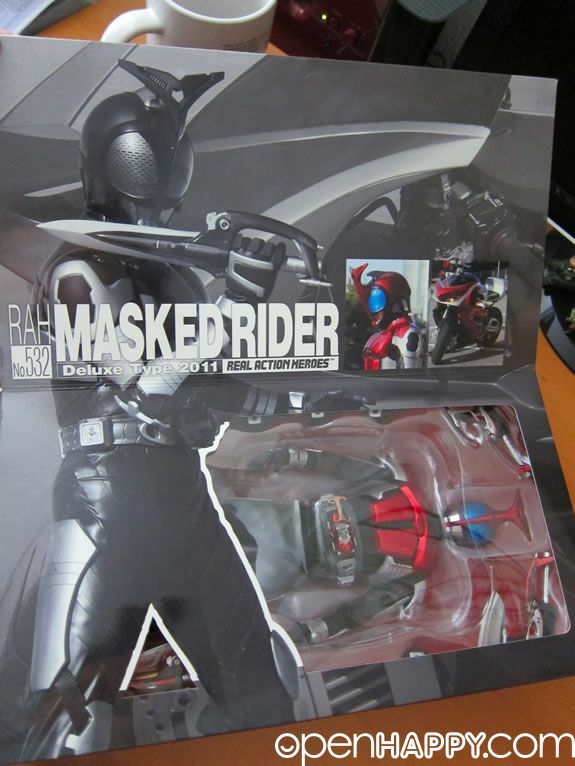 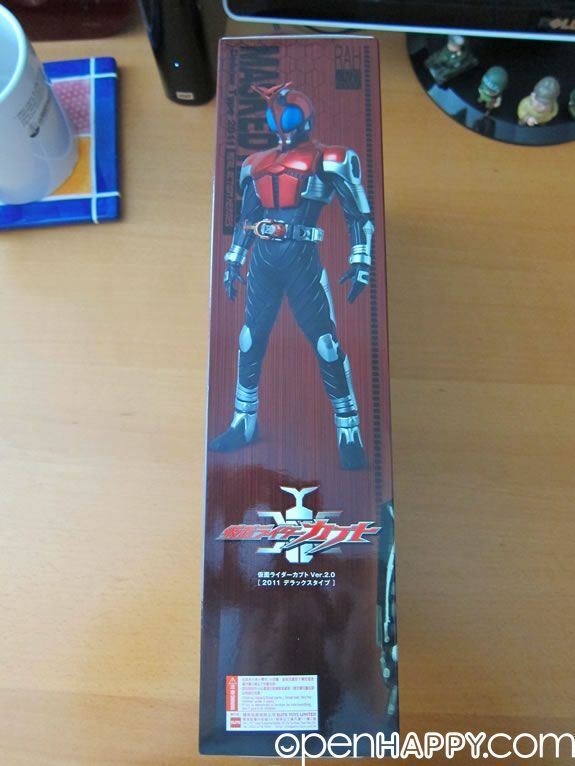 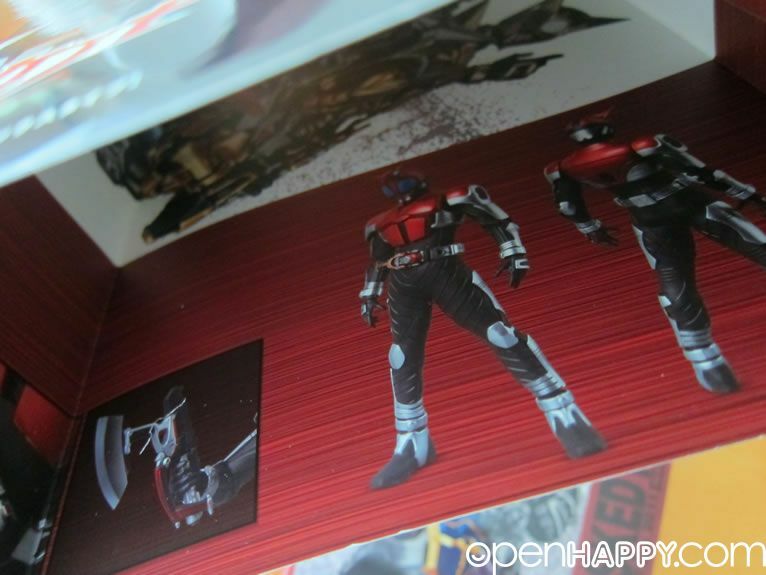 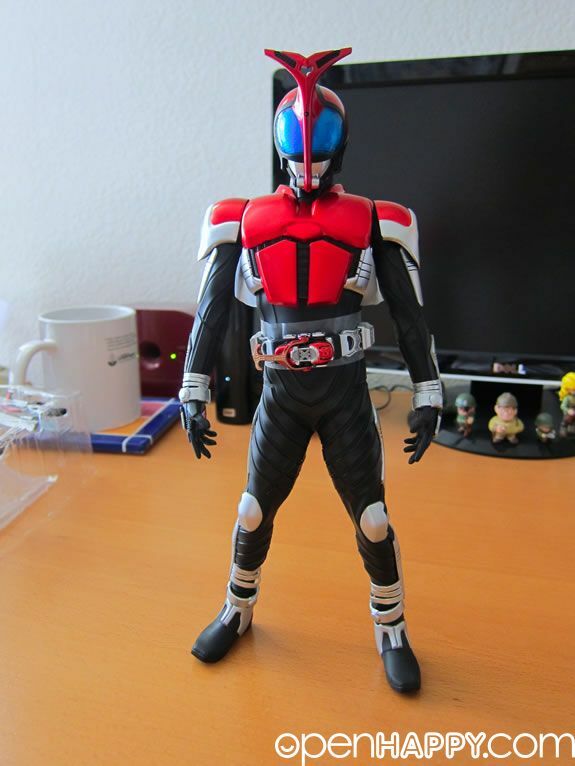 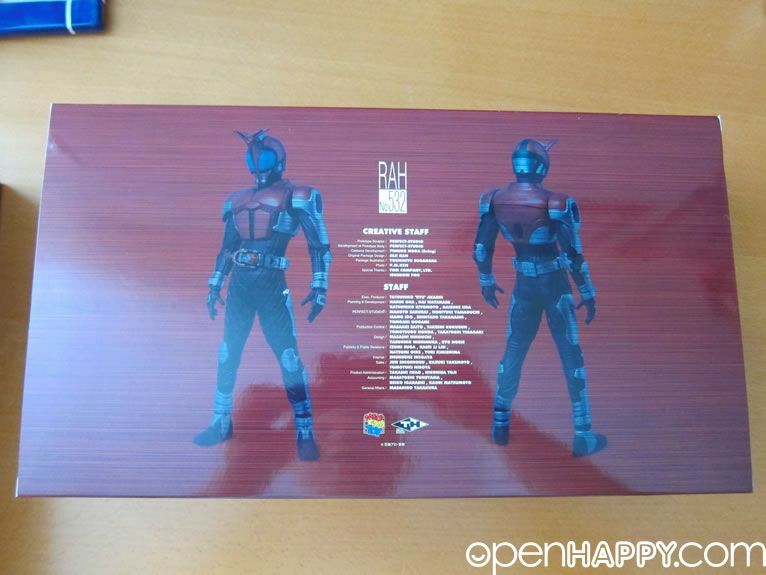 Here is version 2 of Medicom RAH Kamen Rider Kabuto. 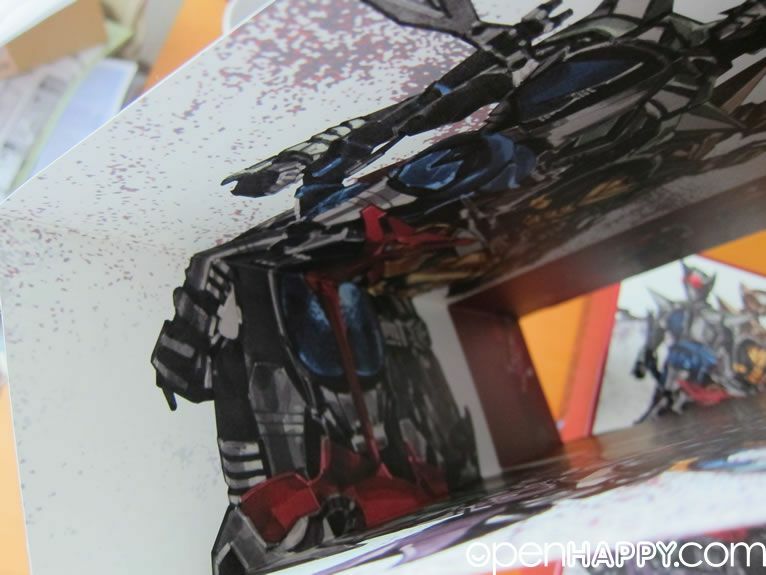 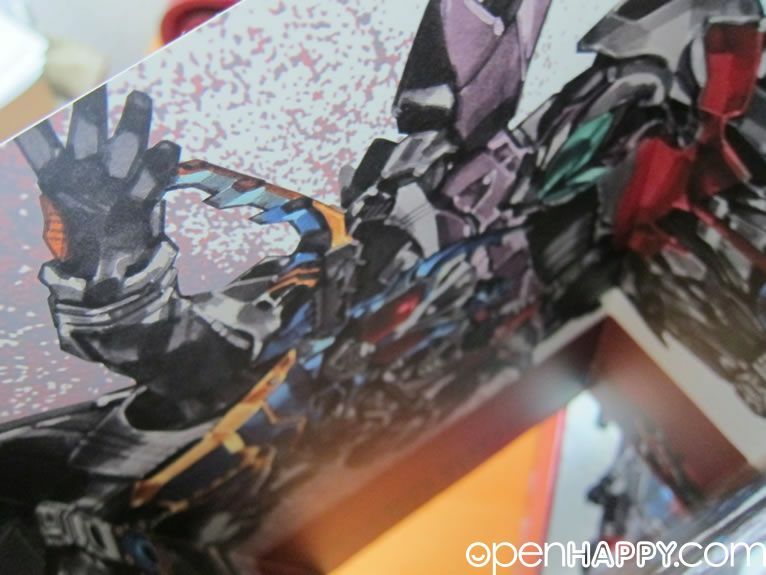 Inside of the jacket is also beautiful. 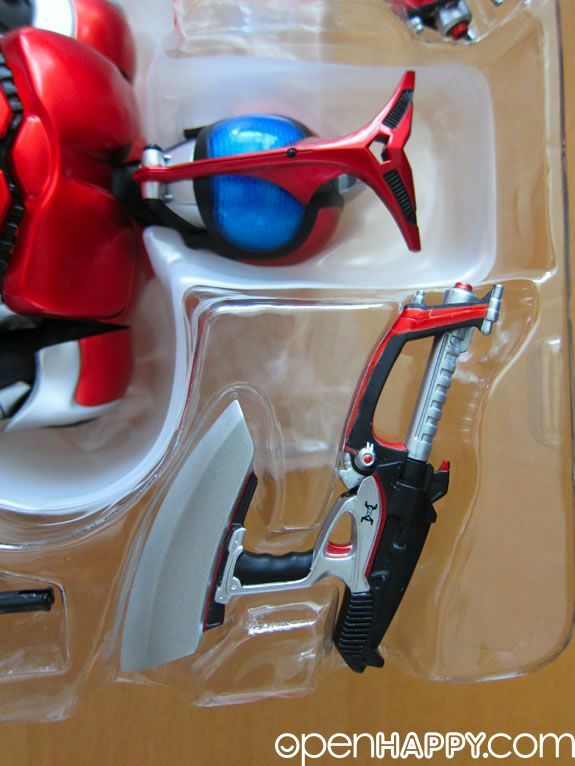 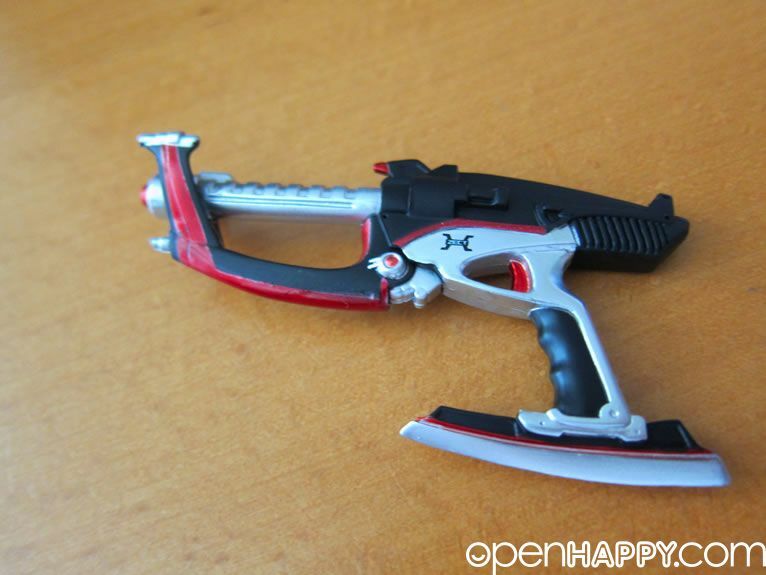 The weapons are also beautiful. 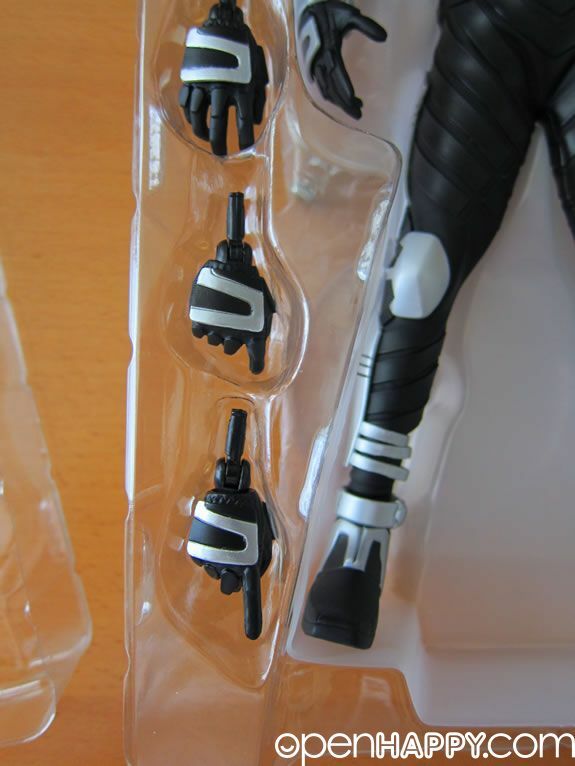 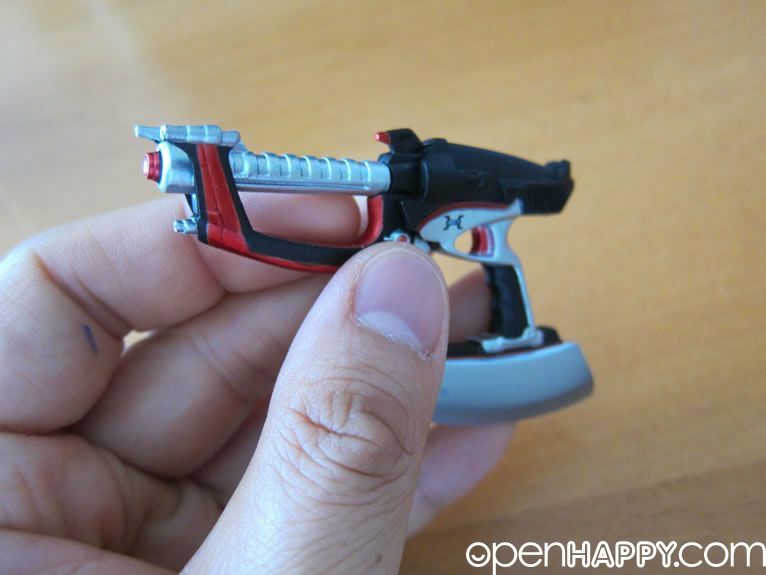 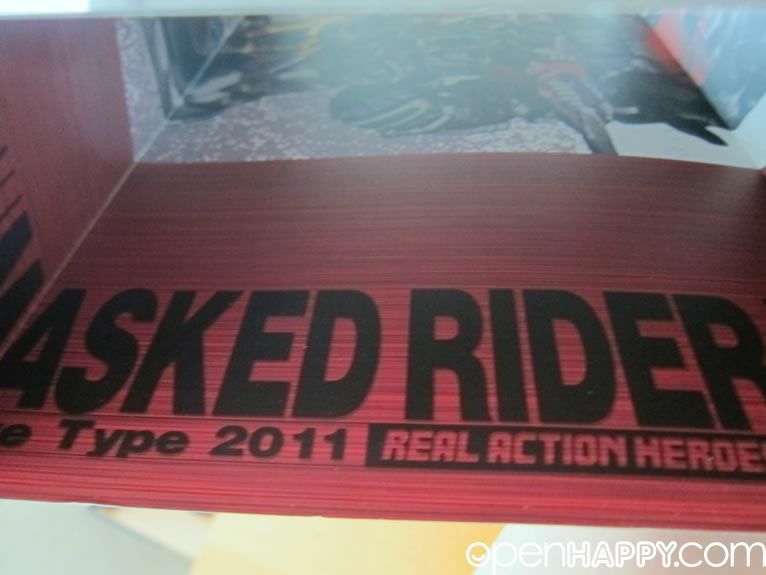 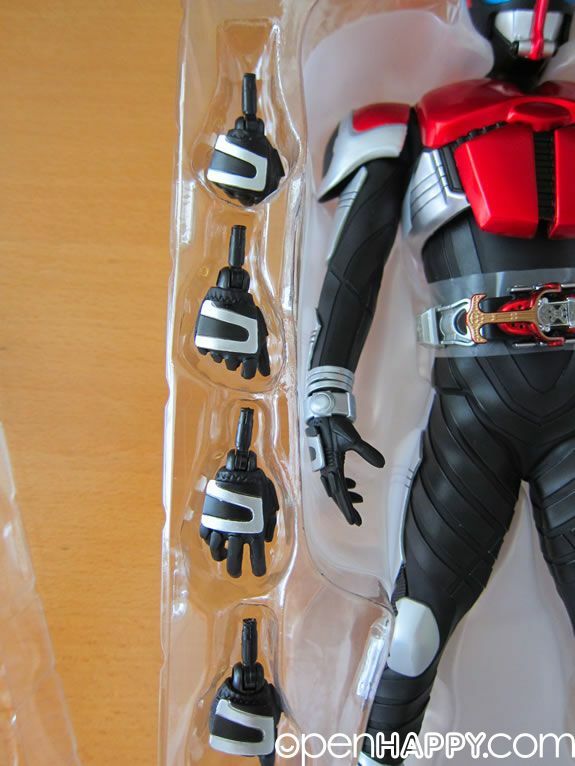 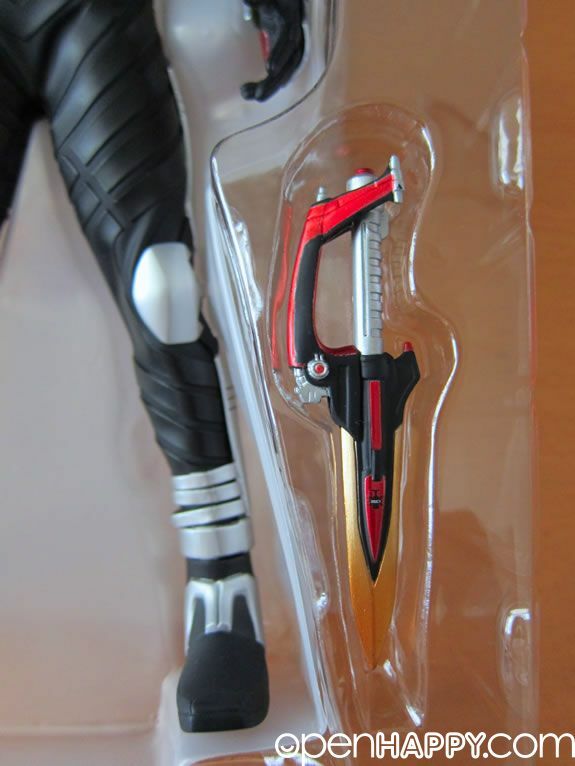 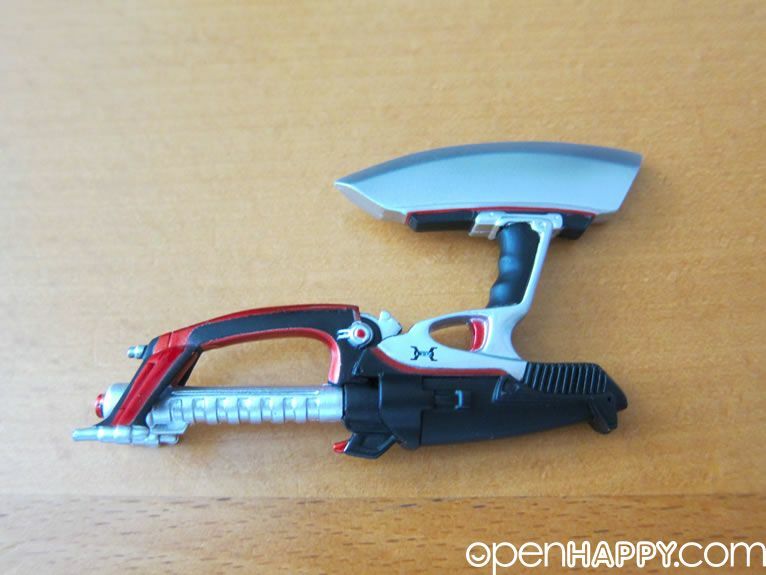 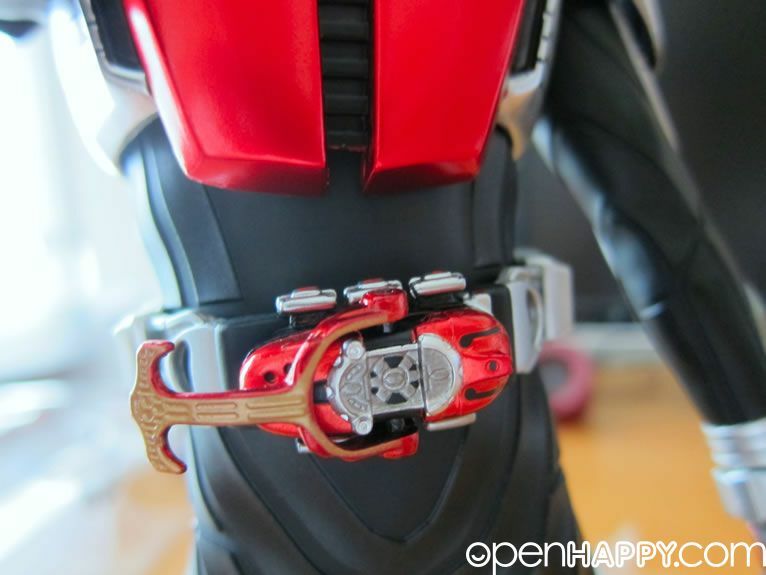 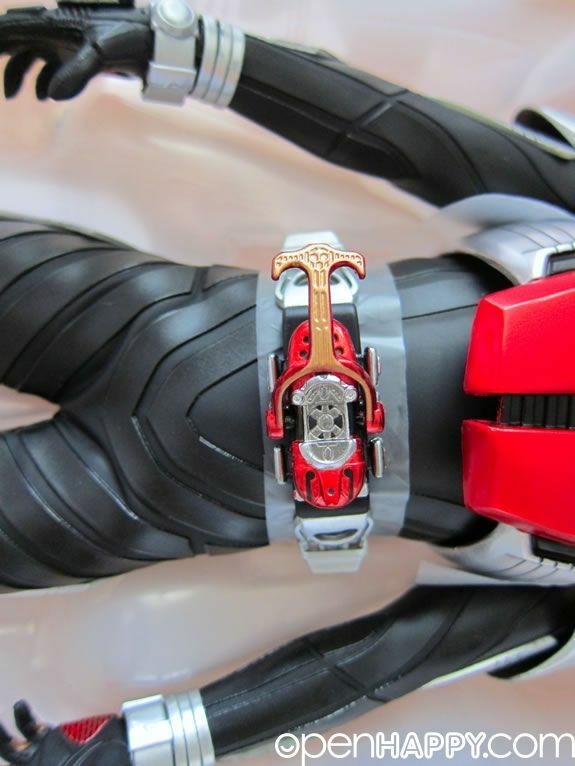 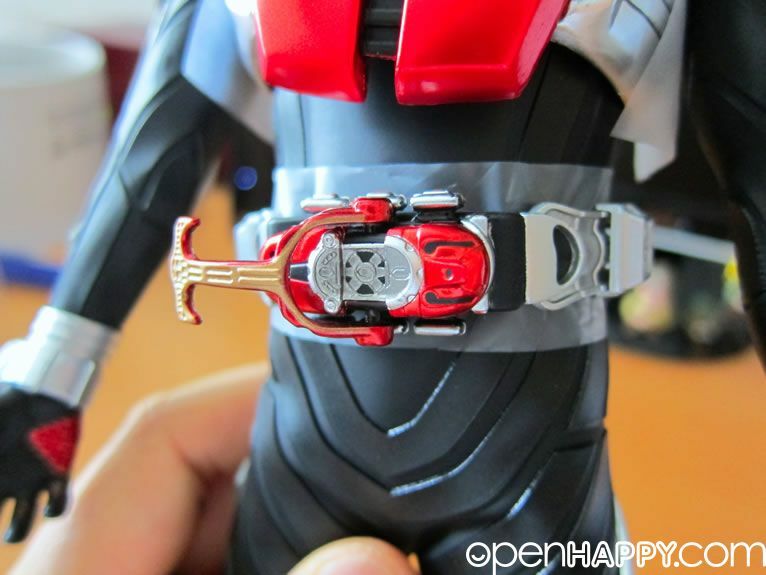 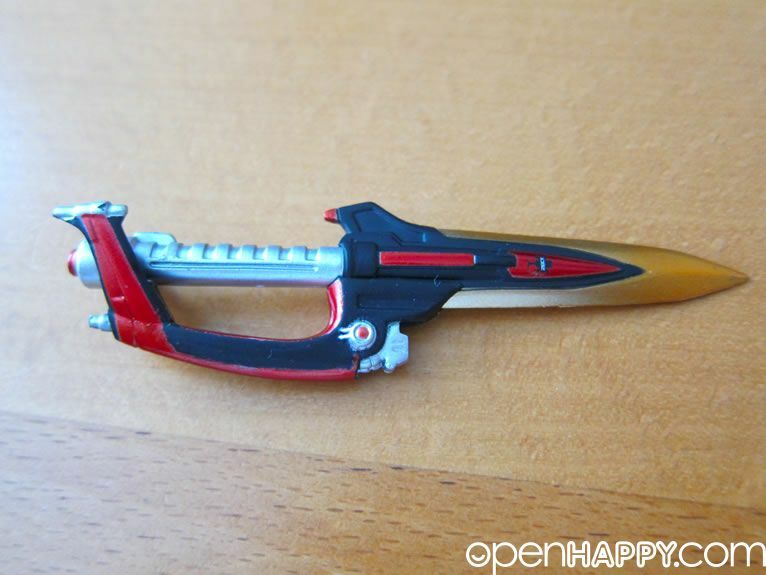 The henshin belt is very detail. 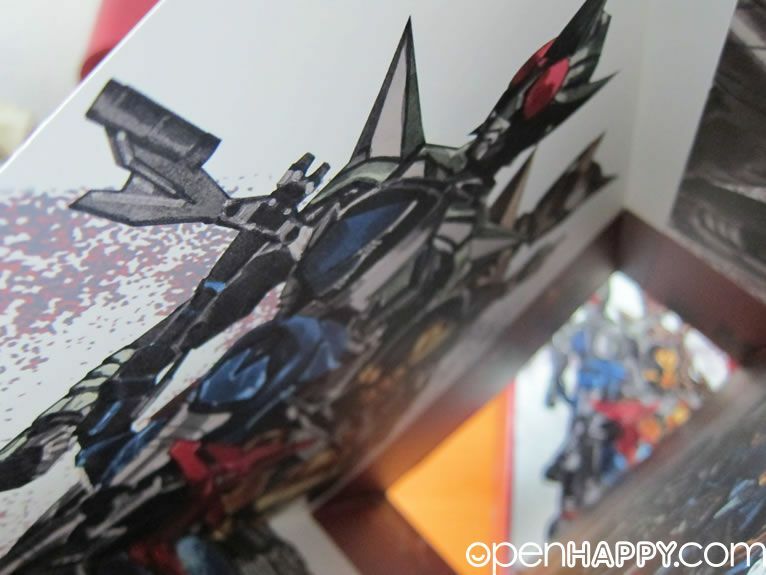 Of course, you can go left and right to transform. 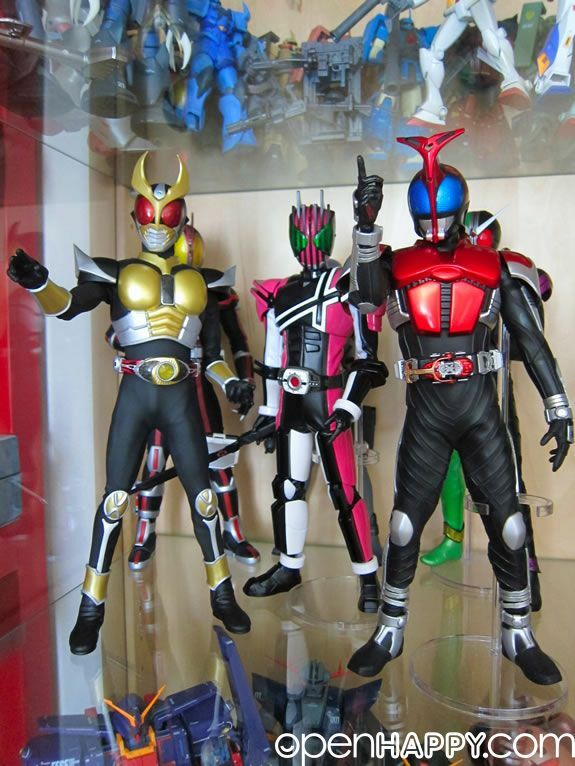 All the friends go together. 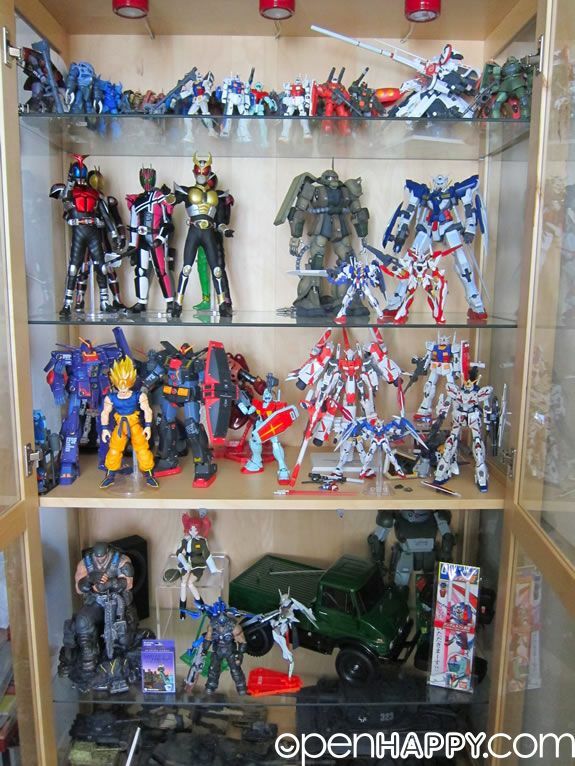 It is getting a little crowded.